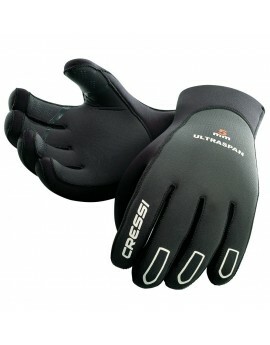 Cressi Ultraspan Gloves 3.5mm 5 finger neoprene gloves Ultraspan in addition to the already 'full range of gloves, Cressi want to combine the flexibility of these new materials come onto the market over the past years with the wear resistance of previous models. 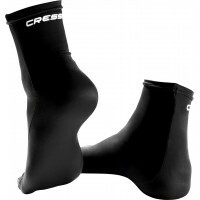 De Cressi-Sub tropical is een soepele en dunne duikhandschoen van 1mm speciaal voor in tropisch water. 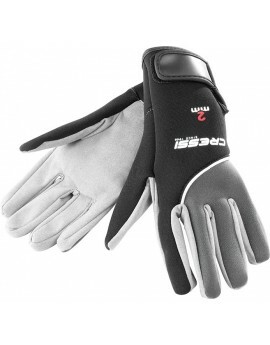 Cressi High Stretch Gloves 5-finger gloves made from single-lined soft, high-stretch neoprene. 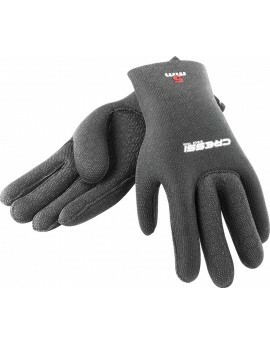 The inside is covered in Metallite to make them easy to put on.